You will learn how to purchase an individual portrait of your favourite animal, available executions, prices and how to photograph animals best. 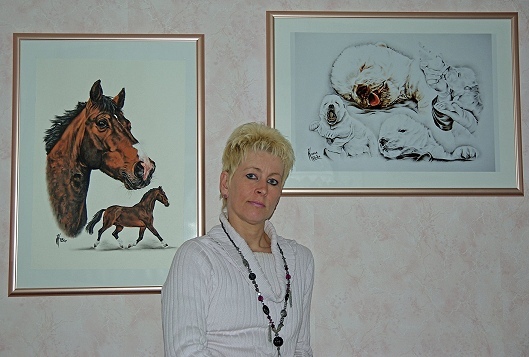 In addition you can purchase ready-made original portraits as well as art prints of drawings and photographs. Don't miss having a look at the most beautiful portraits in the gallery to find out about my work. I'm looking forward to answering your request by email or your guestbook entry! click above on the English version and COME ON IN!